Bored of Chinese food? Haven't had your Yee Sang fix? Need more? Last minute reservations? 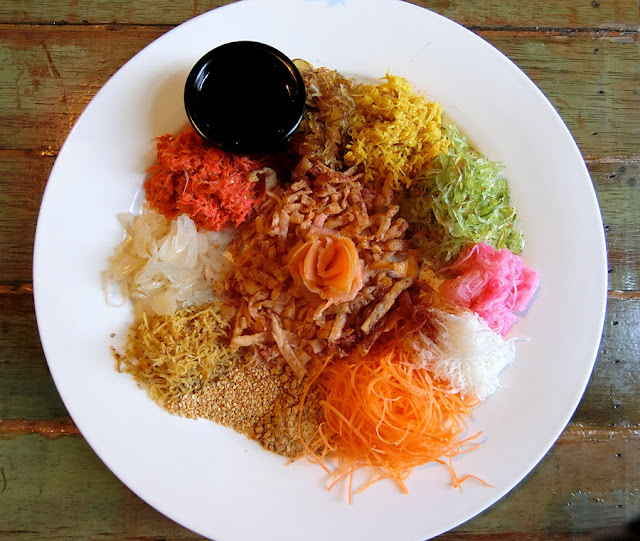 At Nuri's, for just RM69 (portion is good for 3-4 pax), you get a whole plate of freshly prepared Yee Sang. The ingredients are made from scratch with an exception of the crackers; it is by far the most traditional one I've had - and not in a Chinese restaurant! 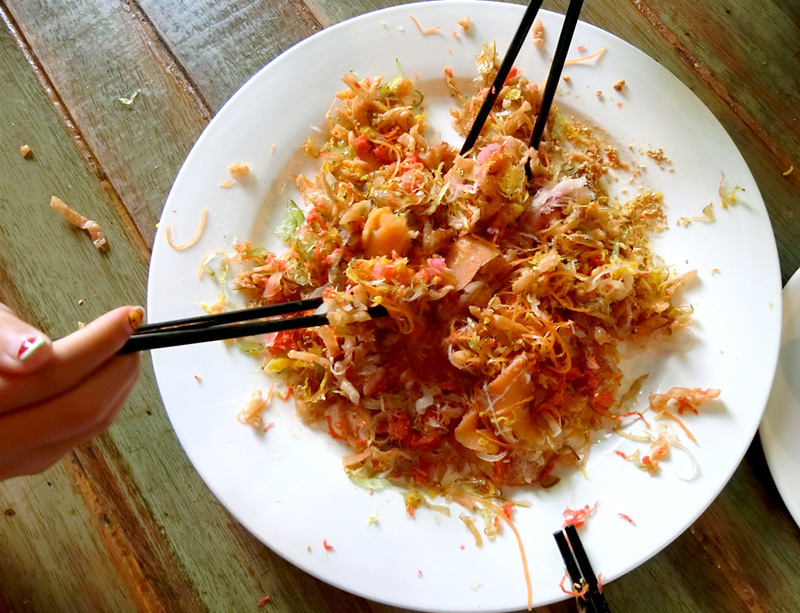 I'm quite fussy when it comes to Yee Sang - if it's not freshly made, chances are one bite and that is it. For those who got bored of traditional style Yee Sang, try their Iberico flavour. Nuri's are very good with their pork so it is definitely a safe choice. And still can't get enough of pork yet? 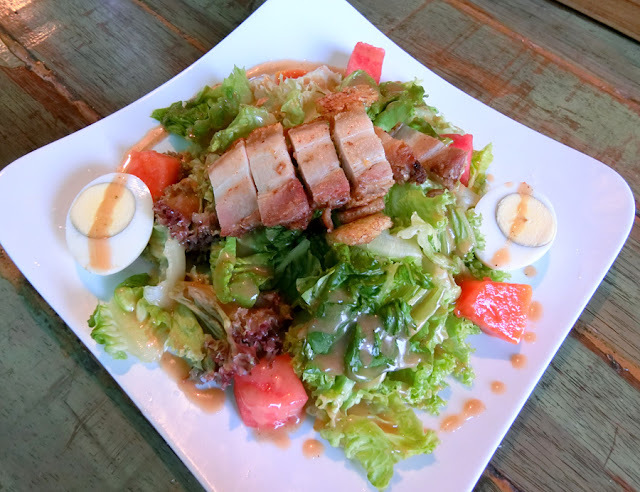 Signature pork salad will save the day. 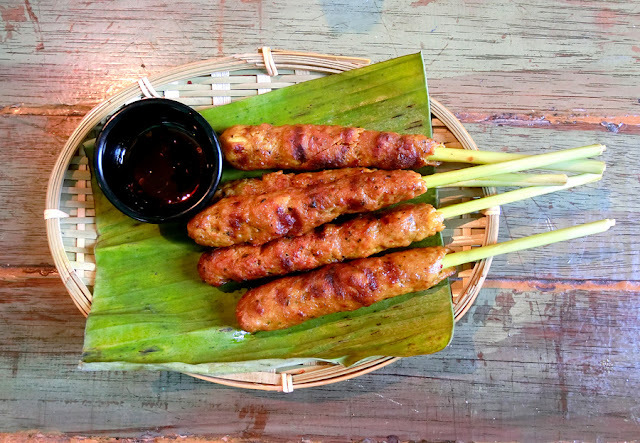 Have some of those crispy siew yuk and please don't forget your fruits and vegetables! 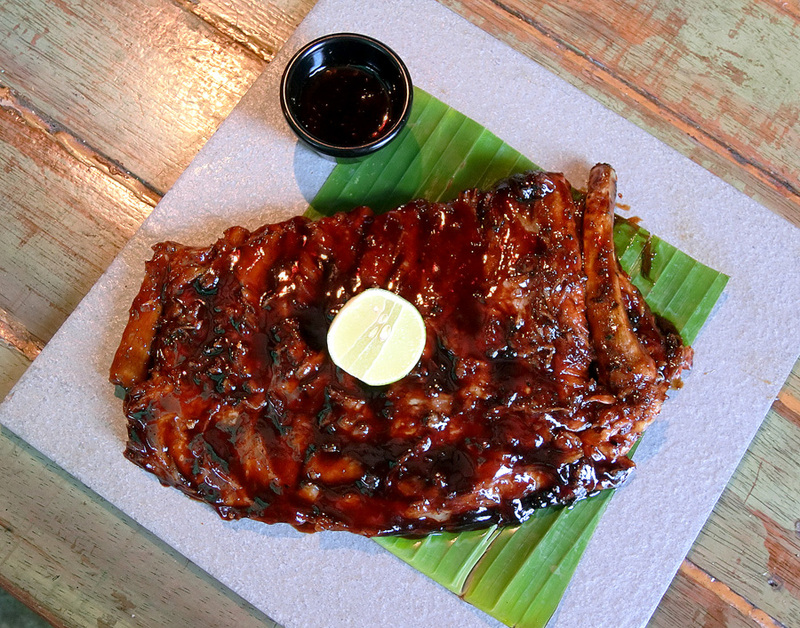 One cannot leave Nuri's without having their signature pork ribs. Do you want some of those ribs for FREE? Yes, you're reading it correctly - FREE!!!! 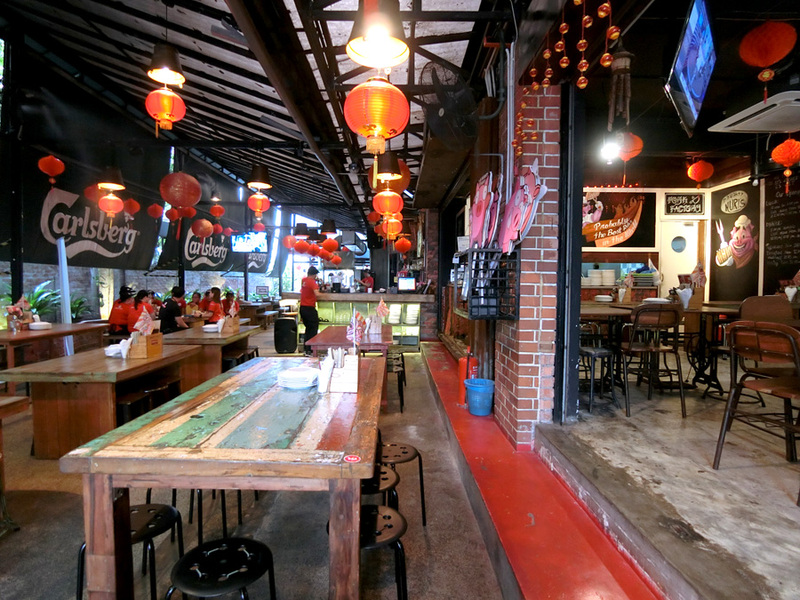 Quickly book your slot before it runs out - http://bit.ly/naughtyribs for reservation. 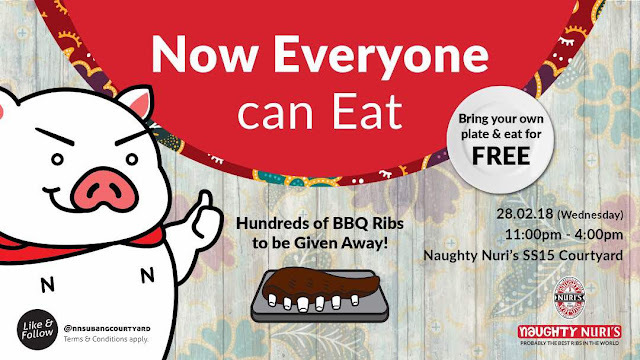 Hurry up as LIMITED seats are available and don’t forget to bring your own plate !